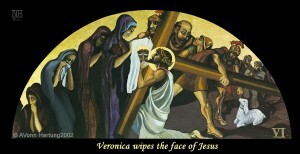 THESE STATIONS OF THE CROSS paintings show the process of conversion as Jesus was put to the test and tormented. His persecutors came to understand who he was. 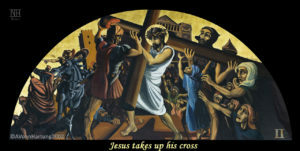 The stations express a perspective that emphasizes the effect Jesus had on those present during his ordeal of carrying his own cross to his crucifixion on Calvary. As the bystanders are pulled into his suffering we follow by observing closely, the actual Revelatory conversion of the principal Roman soldier. We see how the outpouring of grief and compassion of others around him begin to melt away his own cruelty and indifference. 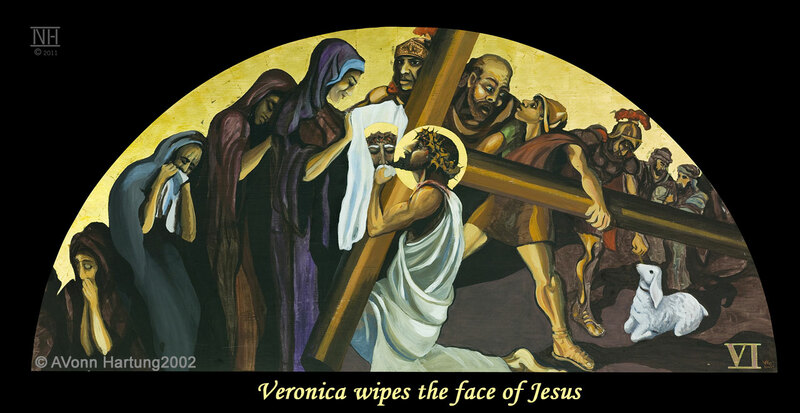 See how he marvels at the deep and complete faith of Veronica as she wipes the face of our Lord. 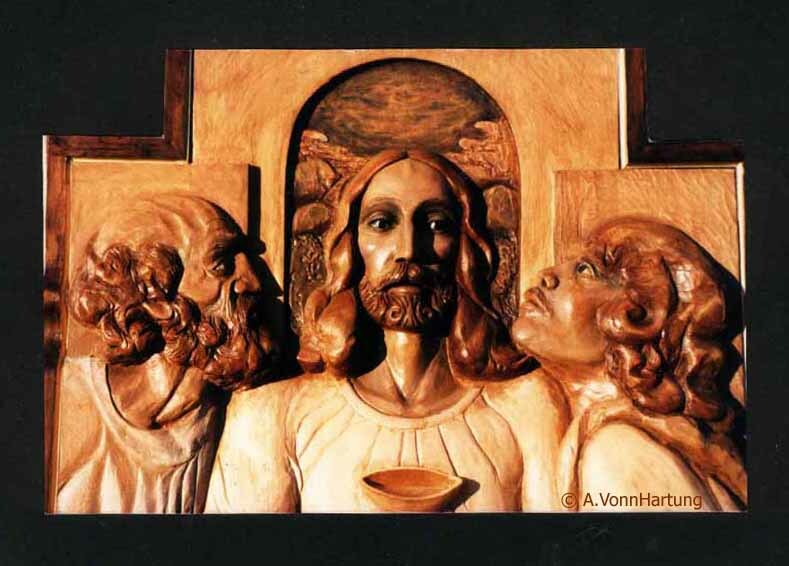 Others also are going through the steps of conversion from confusion and despair to an awakening clarity as seen most visibly in the others behind Veronica. 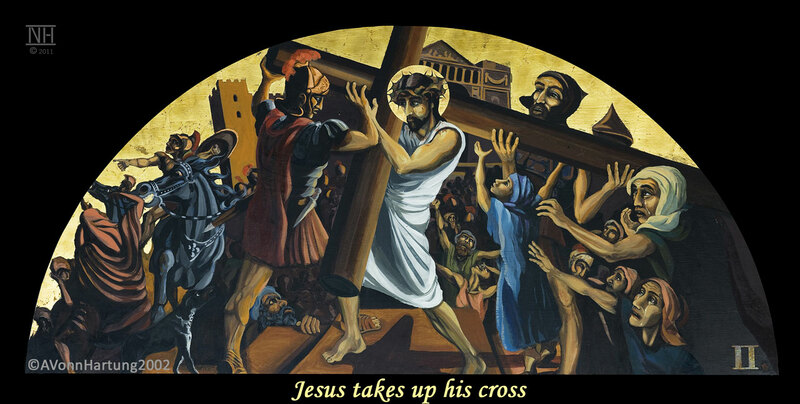 These Stations of the Cross were painted for Santa Rosa de Lima Church in Guaynabo (Barrio Amelia), Puerto Rico. The artist conceived them with the community in mind and they include much of the spiritual and cultural qualities of Puerto Rico. Each Station measures 4-ft by 8-ft, painted in acrylic and gilded in copper and gold. They surround and crown the nave of the church.